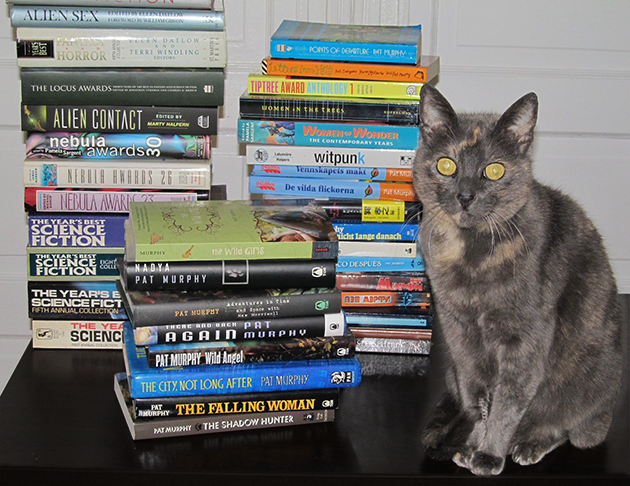 Here are some of my books and one of my cats. My fiction lives in the borderlands between genres, where life is interesting and the rules are slippery. You can check out my novels or my short fiction.